Today, I’m sharing my best 30 Weight Loss Hacks that actually work and that I personally do myself! Summer is right around the corner and lots of people are trying to lose those last few pounds. If that’s you, then you’re going to love today’s post. 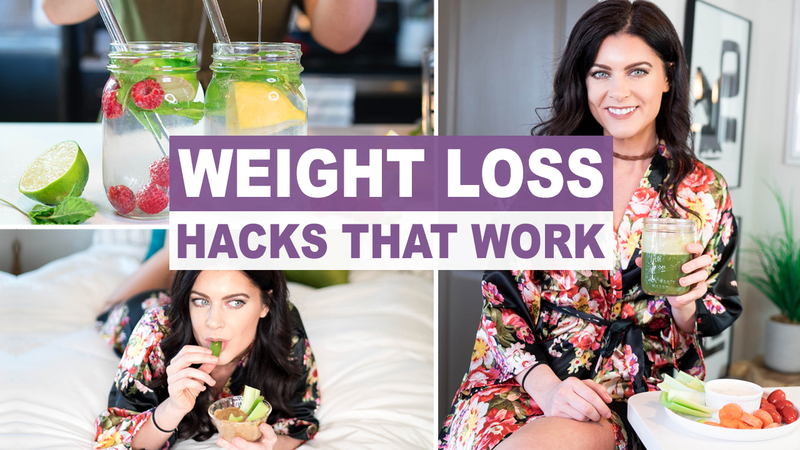 In addition to eating a clean diet, there are other “hacks” you can do to take your weight loss to the next level to help you achieve your goals even faster. That’s right! Eating off of a smaller plate can trick your brain into thinking you’re eating more food. I’ve been doing this since collage (14 years ago! ), and it really works! So, instead of using a regular sized dinner plate, use a salad plate. Plus, the portion sizes in America are way too big anyway, so this will help you to control your portion sizes. If you’ve ever eaten something after brushing your teeth, then you know that it makes the food taste disgusting, which is why brushing your teeth right after dinner can help you to avoid grazing and snacking. If you’re prone to going back for seconds, eating dessert, etc., then this tip can really help you to avoid that! And, it’s super simple. I’ve been recommending this tip to my clients for years, and it works like a charm! They all report weight loss, higher energy levels, and an overall feeling of wellbeing. But, here’s the deal – not just any smoothie will work. It must be low in sugars, high in fiber, and high in healthy fats. Adding too many sugars to your smoothie will spike insulin, which is the fat-storing hormone, and we definitely don’t want that if you’re trying to lose weight. You can also eliminate the fruit altogether and sweeten the smoothie with a low carb sweetener, such as stevia, birch xylitol, monk fruit, etc. And, if you really want to take it to the next level with your weight loss, you can also replace 2 meals per day with a smoothie for 30 days, and the weight will drop effortlessly! Once I learned that having a perfection mindset was unachievable, I started to base my healthy eating off of the 85/15 rule where I eat healthy 85% of the time and indulge 15% of the time. Now, I’m sure you’ve heard this before, but if you plan on doing this healthy eating thing longterm, then you have to be realistic. Now, I allow myself to indulge on occasion and believe it or not, but it’s one of the best things I’ve done for my health and sanity! By not allowing yourself to indulge from time to time, it can lead to mental stress and frustration (also binging), which definitely isn’t good for longterm health. PRO TIP: One thing I’ll add is that many times when I indulge, I still stick to the more “healthy” junk food. For instance, if I’m craving chocolate, I’ll go for an organic chocolate bar instead of a processed milk chocolate bar. Or, I’ll opt for organic chips instead of regular chips in order to avoid toxic pesticides, GMOs, artificial ingredients, etc. And, “healthy” junk food still seems to curb my junk food craving. However, I do indulge on occasion in the REAL junk food… I’m human… Lol! This hack is simple yet very effective! If you go grocery shopping famished, then you’re more likely to reach for stuff that you really don’t need in the house. And, these items can become a temptation later down the road. So, the best thing to avoid that is to make sure you eat before going grocery shopping… even if it’s a little snack. Parking a little further out will help you to get extra steps in, which will help you to burn more calories. And, if you do this every time you go to the store, it’s going to help increase your overall metabolism and help you lose weight faster. And, don’t forget to put the buggy back where it belongs too (extra steps)! Sleep is one of the most critical aspects of weight loss. Lack of sleep can increase your hunger hormone, ghrelin, which is the hormone that stimulates hunger. If you’ve ever gone a few nights with little to no sleep, then you’ll probably notice that you’re hungrier than normal the next day. And, it’s usually not a hunger for healthy foods but for junk food! This is because lack of sleep increase your hunger hormone. Not only that but lack of sleep can also increase the stress hormone, cortisol, which is directly linked to belly fat. That’s right! Poor sleep can lead to belly fat. So, make sure you’re getting 7-8 hours of quality sleep per night to allow your body to repair, rebuild, and renew itself. If you’ve followed me long enough, then you know I’m a HUGE fan of intermittent fasting and personally practice it myself (95% of the time). Intermittent fasting helps a lot of people break through those weight loss plateaus and one reason is because it helps to increase human growth hormone (HGH). In fact, one study showed that intermittent fasting increased HGH by 300% in just 3 days! The reason HGH is critical to weight loss is because it helps to accelerate the breakdown of fat. The 3 main ways to increase HGH is intermittent fasting, sleep, and exercise. Now, this has really been something I’ve had to remind myself to do because while filming all those delicious recipe videos for y’all, it’s easy to snack and graze on the food! But, this can easily lead to overeating. So, when it’s time to eat, make sure you put your food on a plate and go sit down to eat. Did you know that it takes approximately 20 minutes for your brain to register that your stomach is full. You can pack in a lot of calories in 20 minutes! So, be sure to eat slowly. And, one thing I like to do is to put my fork down in between bites and really savor each bite. Don’t pick up the fork until the first bite is thoroughly chewed. This also helps you to practice patience and just slowing down, in general. Sometimes we’re in such a hurry that we forget to even enjoy our food! This principle stems from the Japanese culture. And, it’s probably why they don’t deal with obesity on an epidemic level like we do here in America because they don’t overeat! Now, if you have a designated portion amount, then go ahead and eat the whole amount. But, this tip especially works well when you’re eating out. By eating until you’re 80% full, it helps you to avoid overeating and feeling stuffed. 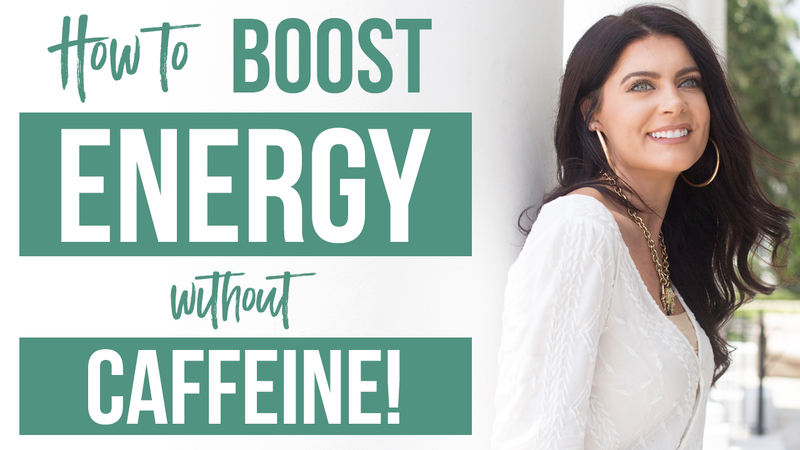 That way, when you’re done eating, you’re not tired and sluggish but energized! Have you ever noticed that the first few bites of something is when it tastes the best? The more eat you something, the more the taste starts to diminish and it no longer has that “wow” effect like it did when you took that first bite. As the taste of something diminishes, it usually correlates with your stomach getting full. So, take that opportunity to realize that it’s not worth continuing to eat, especially if it no longer tastes that good anyway. This is something I preach to y’all all the time on my YouTube channel and that’s because it’s super effective! Meal prepping literally sets you up for success. 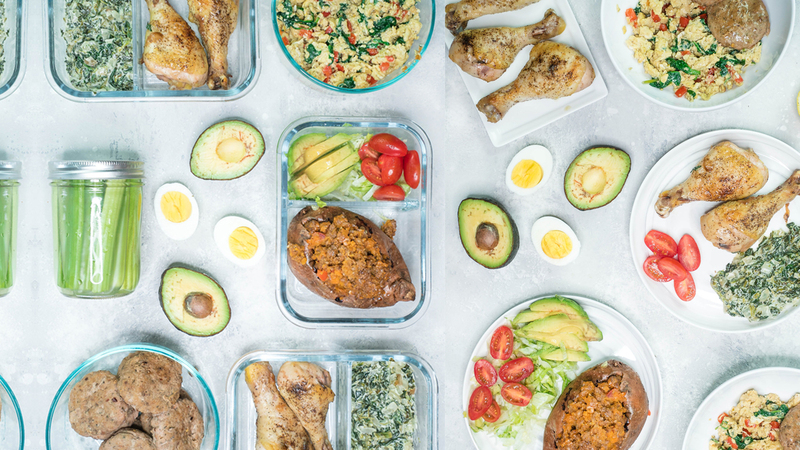 If you know that you already have a meal prepped and ready to go, then you’re less likely to go to a fast food joint or cheat on your diet. It really is that simple. For meal prep ideas, check out my Meal Prep Videos. If the junk food isn’t in the house, then you can’t cheat on your diet. You would have to get in our car and take the time to drive to the store… and if you do all of that, then honey go ahead and cheat… Lol. Now, if you have family that doesn’t want to eat healthy and you can’t get rid of the junk food, then I would suggest putting all of the junk food in a cabinet that you never use. This way you never have to see it… Out of sight, out of mind! Overnight your body can become slightly dehydrated since you’ve not had any liquids for 8+ hours. And, even slight dehydration can cause false hunger signals. So, every morning, I drink at least 2 cups of water. This sets me up for the day and ensures that I never get any false hunger signals. I also like to add fresh lemon juice to my morning water to get an extra dose of vitamin, which is great for skin health & immunity. If you’re still drinking sugary drinks, such as sodas, sweet tea, and even fruit juice. Then, it’s time to stop. Not only will it slow down your weight loss results, but that much sugar isn’t good for your health, in general. I suggest swapping it out with flavored water. Get creative and add lemon, lime, raspberries, mint leaves, stevia, etc. to your water. It’ll be much lower in sugar while still very satisfying and refreshing! Like I said earlier, slight dehydration can lead to false hunger signals. So, to avoid this I like to drink at least 8-12 cups of water per day. And, one way to track your water intake without having to put too much thought into it and write it down is to use a quart size mason jar (which is about 4 cups) and fill it up 2-3 times throughout the day. 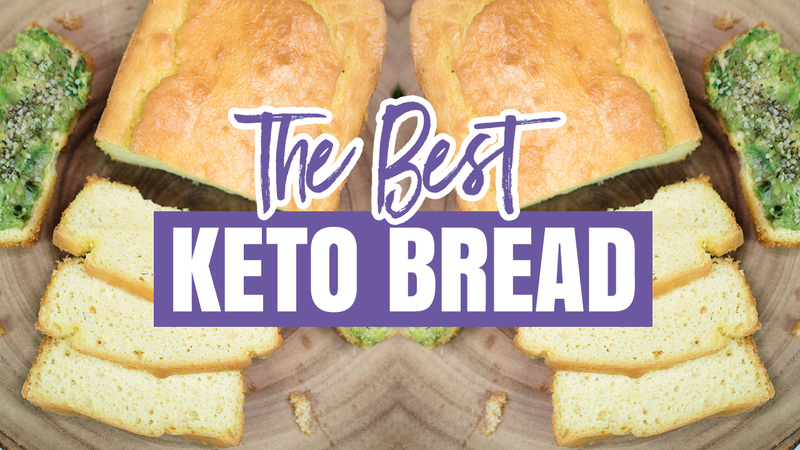 There’s a reason why so many people are seeing fantastic results with different variations of the keto diet. It’s because it focuses on increases your healthy fats and lowering your overall sugar intake. By default, this lowers insulin in the body, which is the fat-storing hormone. Additionally, healthy fats will keep you fuller longer, which will help you to avoid snacking in between meals. If you still watch regular television, then get up and do some sort of movement during commercial breaks. You can do things like jumping jacks, lunges, squats, or even run your stairs (if you have them). Getting more movement in throughout the day is going to help you burn more calories, which will ultimately help you reach your weight loss goals faster! Now, I’ve heard both sides of the debate on this one. Some say gum makes them feel more full while others say it stimulates hunger. And, I tend to think it stimulates hunger. When you look at the actual chemistry, chewing gum tricks your body into thinking it’s about to eat. So, your stomach starts to produce the digestive juices/acids and when no food comes down, it continues to churn, which can leave you feeling hungry. Not only that, but most gums on the market are full of artificial ingredients, so they’re not good for your health anyway. Cinnamon can help to control blood sugar. And, balancing out your blood sugar levels is critical to controlling your cravings. If you’ve ever been on that vicious cycle of your blood sugar spiking and crashing, then you know it’s not good for your cravings. Every time you blood sugar crashes, you crave sugary foods and refined carbs. So, finding ways to balance out your blood sugar is going to help you control those cravings and cinnamon is one way to do it. I like to add cinnamon to my smoothies, baked goods, fat bombs, chia pudding, etc. A sauna can help to raise your core body temperature the same way exercising does, which causes your body to try and cool itself off and leads to sweating. By sweating, you’re going to burn more calories and detox your body. I love using saunas as a natural detox and to get a good sweat session in. I’m not saying saunas should replace exercising, but they’re a great way to burn extra calories without actually having to move your body, so it serves as a great addition to help you reach your goals faster (or for those who can’t physically workout). If you’ve ever sat down on the couch with a bag of chips, tub of ice cream, or carton of cookies, then you know making yourself stop eating can be difficult. Junk food is designed to be irresistible, especially the ones nowadays because they’re full of artificial ingredients that are addictive! So, to avoid overindulging, don’t eat from the bag. Put your portion on a plate, place the bag back in the pantry, and then sit down to eat. I know this tip sounds weird, but it works! Go ahead and wear those jeans, legging, shirt, etc. that’s a little too tight because it’ll serve as a constant reminder throughout the day to not cheat on your diet! Lets face it, losing weight can be a daunting process, especially if you have 20+ pounds to lose. So, what I suggest is rewarding yourself every time you reach a milestone. For instance, every time you lose 10 lbs, reward yourself, but not in a food-related way. You can reward yourself by getting a massage, a manicure/pedicure, buying a new outfit, doing a family photoshoot, etc. Take out a notepad and write down all of the things that get you excited. Then, every time you reach a milestone, give yourself a different reward. And, this will make the weight loss journey exciting, which will help you to stay on track! If you don’t have time to go to the gym, then do home workouts. And, nowadays, there’s no excuses because YouTube has a lot of great fitness channels with FREE workout routines. In fact, I love the Tone it Up girls on Youtube. I do their routines whenever I don’t have time to go to the gym, and let me tell you… their workouts are very effective! Sometimes I’m sore the next day! So, no excuses. Get your body moving and start doing home workouts. This is something we should all be doing whether we need to lose weight or not. But, the reason this is so great for weight loss is because raw veggies are high in water content, which can help to fill you up faster. Not only that, but raw veggies are a great source of fiber, which will help to keep you regular and naturally cleanse your colon. You want to hear a disgusting reality? Some say that the average American has up to 10 lbs of excess waste built up in their colon! Don’t let that be you. Start getting in more raw veggies, such as carrots, cucumber, bell pepper slices, celery, cherry tomatoes, etc. Making healthy food swaps can save on excess calories and sugars. In fact, I have a whole video dedicated to healthy food swap ideas. You can swap out refined pasta noodles for zucchini noodles. Or, swap out sodas for sparkling water. Or, have yourself some kale chips instead of regular chips. By saving on excess calories and sugars, you’ll reach your weight loss goals much faster! It seems like everyone has one of those movement trackers nowadays and for good reason! It’s a great way to track your steps and calories. And, if you’re a goal oriented person, then you can set your daily steps goals, and it’ll remind you when you haven’t gotten in enough steps! So, this thing will hold your accountable without actually having to pay a personal trainer to do it.. can’t beat that! Okay, so I told you earlier that I let myself indulge from time to time, but one way to reduce those indulgence sessions is to find healthy replacements to your favorite junk foods. For instance, I LOVE LOVE LOVE Kettle chips, but I’ll make myself some sweet potato chips in the air fryer instead. Or, if I’m craving french fries, I’ll make sure sweet potato fries. If I’m craving chocolate (that time of the month), then I’ll have an organic chocolate bar instead. And, 95% of time it curbs my craving!